You’ve heard that saying, “All good things must come to an end.” That end for a business or organization can be as a result of retirement, passing to another generation, moving on to new adventures or less pleasant disruptions one prefers not to mention. Whether your business or organization is big or small, wouldn’t it be great to see that it has the opportunity to thrive on with its next caretaker or its operations can cease in an orderly, optimum way, whichever way you feel best. It is something we all should think about as business people — succession planning. Even as the staff person for this economic development organization, I feel an ownership and I would like my successor to have the best chance at success when I move on. So, why wouldn’t any business owner plan for his kids, or wife, or partner, or whomever to have success with the company? It is that time of year, my getting around to updating and improving community economic development resources that I didn’t get to during that holiday lull that inevitably never happens. The thing this time is an update to the Resources for Business in Cheatham County, Tennessee publication that I try to send out to existing industries every year. Well, almost, as this is my third update. This year, I also posted it on the Cheatham Connect website under the “Business Resources” tab, so if you are a business looking around during its site selection process, you can see that we don’t forget your needs after you transition from ‘prospective business’ to our ‘business retention and expansion’ program. In partnership with the Delta Regional Authority (DRA) and the U.S. Department of Commerce Economic Development Administration (EDA), the International Economic Development Council (IEDC) will conduct another round of training courses for DRA’s Leading Economically Competitive and Resilient Communities (ECRC) program beginning in February 2017. These intensive training courses are designed as two-day classroom-style “boot-camps,” which emphasize the system and practice of economic development in the Delta region, and help community leaders learn more about the state, federal and private sector resources that are available to assist them. The interactive course provides participants with practical tools and inspiring examples to support critical economic development and resilience activities. Workshops will be conducted in all eight states served by DRA. The first Economic Resilience and Disaster Recovery course will be held in Carbondale, IL, on Feb. 27-28, and hosted by the Southern Illinois Research Center. The first Economic Development Strategies course will be held in Poplar Bluff, MO, on March 2-3, and hosted by the Poplar Bluff Chamber of Commerce. To register for either of these courses, or to access the schedule for surrounding states, visit www.iedconline.org/web-pages/professional-development/training-courses-for-local-leaders/. The Nashville metro area, which includes Cheatham County, was just ranked 13th in the “Best Places to Live” by U.S. New & World Report magazine. Read about what puts the Nashville area on the list of best places on the U.S. New & World Report website, or better yet, come visit and you may think like we do that it is number 1! Well, I know it won’t make any best seller list (because it is FREE to download on our website), but I recently finished a concise book Cheatham County, Tennessee Development and Permitting Informational Guide, which contains information about where to go and who to contact when undertaking residential or commercial development in Cheatham County, both unincorporated areas and in the towns of Ashland City, Pleasant View, Kingston Springs and Pegram. I had a conversation a few days ago with an economic development professional about using technology to promote our communities and to help our businesses connect to customers. She reminded me of an important point — it is not so important to chase the latest, hottest application as it is to pick one or two or three proven social media/technology platforms and commit to doing them well. I always suggest the one for a business to look at first is Google. Google literally puts small businesses on the map and helps them to include accurate information relevant to their customers. Businesses can go to www.gybo.com to find ways to get their information on the Internet using Google and connect, communicate and do business with their community and customers. For example, when I first came to work for Cheatham County Economic Development, the Google street view for the office was focused on a spot 30 feet down the street from our front door. I was able to get that edited and instead of a view looking down an alley appearing on a search for us, our attractive front door is our first impression to anyone that ‘googles’ us. Economic development professionals, business leaders, community leaders and elected officials (including some from Cheatham County) will be attending the 64th Annual Tennessee Governor’s Conference on Economic & Community Development on October 26th and 27th, 2017 at the Gatlinburg Convention Center in Gatlinburg, Tennessee. This is the first time in my memory that the conference has been held outside Nashville, but this will highlight that the Gatlinburg area is open for business after the wildfires of last year. Governor Bill Haslam and his Commissioner of the Tennessee Department of Economic & Community Development will host the conference where new knowledge will be presented and attendees will network and share ideas. In addition, the Governor’s Three Star Awards for economic and community development will be presented to counties that have earned that status for the year. Details on what I am sure will be another great conference is posted on the Tennessee Governor’s Conference on Economic & Community Development event website, www.govcon.tnecd.com. As a part of this disaster preparedness for a community, preparing for resilience by planning for business continuity and disaster recovery is also included (visit webpage). Disasters for business can not only be the obvious flood, tornado, earthquake or zombie apocalypse, but also death or debilitation of key people, computer crashes, broken pipes, cyber-attacks or anything that disrupts business operations. On the webpage, you will find a link to two (2) free toolkits for small businesses provided by the Insurance Institute for Business & Home Safety (IBHS). One is focused on business continuity and the other on business preparedness. The toolkits contain templates and sample procedures that can be easily customized to a business’ specific needs. The Nashville/Davidson County Metropolitan Statistical Area (MSA), a region that Cheatham County, Tennessee is very much a part, ranks high in resilience capacity (ability to bounce back from economic stress) according to the Institute of Govermental Studies at University of California Berkeley. For more information and a map with all MSA’s, check out http://brr.berkeley.edu/rci/data/map. Hosted by Tennessee Valley Authority (TVA), USDA Rural Development (USDA RD), and Tennessee Department of Economic and Community Development (TN ECD), the conference brings together local leaders like those from Cheatham County from across rural Tennessee to encourage, inspire, and learn from each other. The hosts strive to gather expert Speakers from across the nation with sessions to cover a broad range of topics important to rural communities from economic and community development strategies to leadership development. Conference begins at 1:00pm CT Wednesday, March 22, 2017 with registration opening at 11:00am, and ends at 11:00am CT Thursday, March 23, 2017. Check out the great lineup of speakers and I hope to see you there. 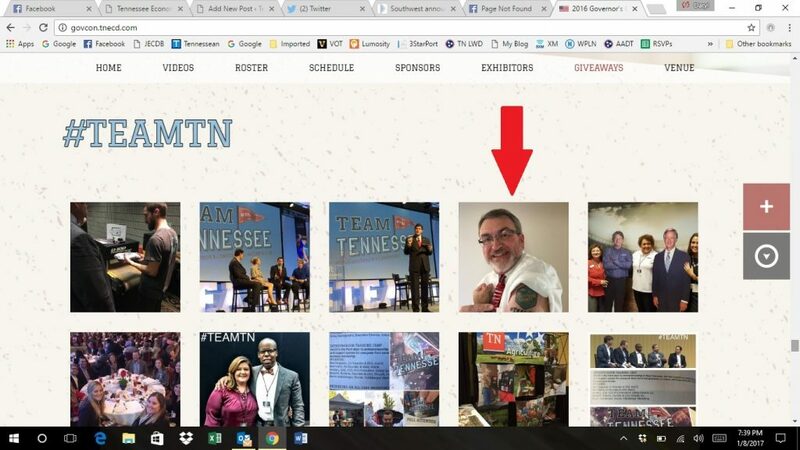 I was just on the website for Tennessee Department of Economic and Community Development and there was my photograph showing off my pride in supporting #TeamTN and Cheatham County, Tennessee in economic and community development. To view a larger version of the photograph, go to the its link here. This week, Nashville International Airport announced more direct flights by Southwest Airlines. In addition to more flights to and from Dallas, St. Louis, San Antonio and Fort Lauderdale, Southwest will begin direct flight to Minneapolis-St. Paul International Airport (MSP) in June, a welcome convenience for my travels to the Midwest. This Christmas Eve, we will watch the holiday movie, It’s a Wonderful Life on the big screen at the renovated Belcourt Theatre. I am always reminded (and I’m sure that my wife is tired of my talking about it) that this movie is a story of economic and community development. George Bailey and the Bailey Bros. Building & Loan Association were integrally engaged in economic and community development. From recruiting Sam Wainwright’s plastic manufacturing facility, to helping Martini in his business, to developing affordable housing to retain Bedford Falls’ labor force, to designing and developing neighborhoods that sustain a thriving community — George Bailey and the economic development efforts of the old Building & Loan made a more wonderful life for the citizens of Bedford Falls. Hot Dog and Hee Haw, it is a wonderful life. I hope that y’all have a Merry Christmas and a Happy New Year! An article from Bangor Daily News contains a lot of the issues of small town and downtown parking problems. To me, it is a no brainer that business owners and their employees should not take parking spaces that could be filled by their customers. Yes, customers of big box stores and malls are tolerant of cruising for parking spaces and walking long distances, but a small town downtown has the opportunity to provide a different, better customer experience and that starts with as convenient as possible parking. Is your rock star parking space worth stifling your town’s retail development? I will be leaving Tennessee on Friday of next week to participate in the International Economic Development Council (IEDC) conference. IEDC will convene its 2016 Annual Conference in Cleveland, Ohio on September 24th-28th. Around 1,500 economic development professionals from around the world have already signed up to attend. The conference will be a great opportunity to make new connections and learn more effective ways to make communities more successful. Tennessee Gov. Bill Haslam and Department of Tourist Development Commissioner Kevin Triplett today announced Tennessee tourism’s direct domestic and international travel expenditures reached an all-time high of $18.4 billion in 2015, up 3.7% over the previous year, as reported by the U.S. Travel Association. Here in Cheatham County, Tennessee, we were pleased to see that the report showed that our county had a 4.5% increase in our tourism economic impact of travel, 21.6% higher than the state increase of 3.7%. For more information on visiting Cheatham County, Ashland City, Pleasant View, Kingston Springs and Pegram and our tourism information, visit the Cheatham County Chamber of Commerce website. Dove season opens September 1st at Noon and runs to September 28th. The season later runs from October 8th to October 30th and from December 8th to January 15th. More information on dove hunting in Tennessee can be found on the Tennessee Wildlife Resources Agency (TWRA) Dove Hunting in Tennessee Website. If you are looking for a place to hunt, Tennessee Wildlife Resources Agency (TWRA) manages or leases fields that have been planted with crops doves love. Some of the most convenient are in Cheatham County, close to good places to eat before or after your successful hunt or places to shop for ammo or supplies like Elks Outdoors in Pleasant View or Ashland City Armory, Farmer’s Co-op or Walmart in Ashland City. The location of the TWRA dove fields in Cheatham County will be listed on TWRA’s website. 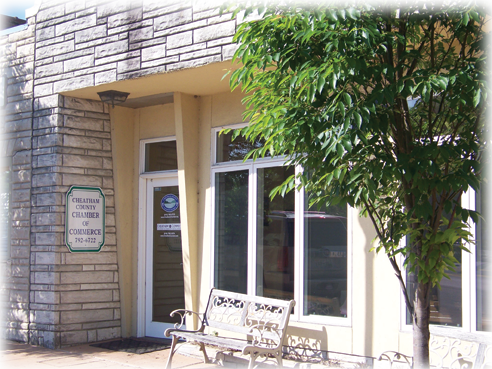 The Cheatham County Commission approved unanimously an business incentive package developed by the Industrial Development Board of Cheatham County (IDB). Developed with assistance from the Cheatham County Joint Economic & Community Development Board and the Cheatham County Chamber of Commerce, the business incentive package will allow the IDB to offer those tax abatements for existing and relocating businesses making capital investment and maintaining jobs in Cheatham County. For additional information, check out the article on The Tennessean‘s website or view the IDB’s Pilot Incentive Guidelines. Economic development professionals, business leaders, community leaders and elected officials (including some from Cheatham County) will be attending the 63rd Annual Tennessee Governor’s Conference on Economic & Community Development on October 27th and 28th, 2016 at the Renaissance Nashville Hotel in downtown Nashville. Governor Bill Haslam and his Commissioner of the Tennessee Department of Economic & Community Development, Randy Boyd, will host the conference where new knowledge will be presented and attendees will network and share ideas. In addition, the Governor’s Three Star Awards for economic and community development will be presented to counties that have earn that status for the year. Tennessee Reconnect and the Tennessee Colleges of Applied Technology will be hosting TCAT Scholarship Saturday on April 2, 2016 from 10:00 to 2:00 o’clock at most of the TCAT locations. This is an opportunity to learn about the Tennessee Reconnect grant and how it can cover the cost of tuition for eligible adults. Not only is this an asset for the few vacant properties in the industrial park, but also exiting businesses in the area benefit from the ready availability of high speed broadband internet access via fiber optics. The Cheatham County Industrial Park is located on Highway 12 less than 30 minutes from downtown Nashville, Tennessee. Due to the importance of this initiative in our expanding broadband availability and technology utilization, I would like to remind everyone in Tennessee to complete the Statewide Assessment of Broadband Access and Usage in Tennessee. Tennessee Department of Economic and Community Development Commissioner Randy Boyd announced earlier this year (news story) the launch of a statewide assessment of broadband access and usage in Tennessee. For this initiative, it is important for them to receive as much information from individual households and businesses as possible, so I encourage everyone to take the survey at www.tn.gov/broadband. Broadband availability is better in Cheatham County than in most rural areas, but I still hear comments about dissatisfaction with broadband service and see businesses that could better utilize technology. This assessment could be a step toward bringing better service and more utilization to under served areas of Tennessee. This article from Bangor Daily News contains a lot of the issues of small town and downtown parking issues. To me, it is a no brainer that business owners and their employees should not take parking spaces that could be filled by their customers. Yes, customers of big box stores and malls are tolerant of competing for parking spaces and walking long distances. a small town downtown has the opportunity to provide a different, better customer experience and that starts with as convenient as possible parking.